The F75 fault code is one of the most common on Vaillant combi boilers. The Eco Tec Plus and Eco Pro 28 are the most likely to display this fault. You can contact a Gas Safe engineer at Boiler Guide to get your F75 error fixed. Or, if you’re tired of living with your unreliable boiler, you can get a new one fitted from £1,795 from BOXT. They’re partly owned by Bosch, so their Worcester boiler prices are some of the cheapest available. No pressure change detection when starting pump. Water pressure sensor and/or pump defective, air in heating installation, too low pressure in boiler; connect external expansion vessel to return. The diagnostic process is not particularly easy, and it’s easy to miss other related faults. So, if in doubt, contact a Gas safe engineer. The Vaillant Eco-Tec range is constantly being developed. Part of the reason for this is that the earlier models had some very poorly made parts. One of these parts was the pressure sensor inside the boiler. Since the original Eco-Tec was launched, there have been three major overhauls of the Eco-Tecs’ pressure sensor. The newer models are much stronger and more durable. If you have an Eco-Tec that is from 2005-2010, it’s likely that it has an older (less reliable) pressure sensor, and there is a good chance it has failed. But what makes this fault develop? A big killer of central heating systems is debris. This includes sludge and lime scale. And prevention methods include installed a scale reducer, magnetic system filter installation and ensuring the system is dosed with inhibitor. It may be (especially if no fault prevention methods are in place) that the sensor has become blocked with debris. 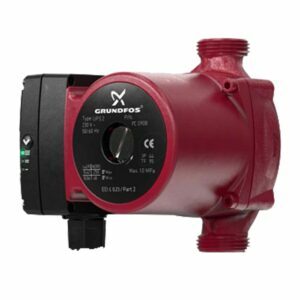 One of the most popular manufacturers of central heating boiler pumps today is Grundfos. They are strong, durable, and reasonably priced. Manufacturers such as Vaillant and Glow-Worm use them in their boilers as standard. Unfortunately, the older Vaillant boilers used an inferior pump. The brand, Wilo, has slowly declined in reputation, as their pumps have become known for failing (well before they should). If you have an older Vaillant Eco-Tec it might be that there is a Wilo pump installed, and that is the problem. The easiest way to diagnose the F75 fault code is to first start with the pump. If the pump is working correctly, then the problem is going to be caused by the pressure sensor. When a boiler fires, a heating pump will kick into action. This will circulate the water around the pipe-work and central heating. You’ll recognise the noise as a soft humming noise, and it’s likely you’ll feel the boiler vibrating slightly. If there is no noise or vibration, then the pump is probably not operational, and a replacement pump needs to be fitted. If there’s noise and vibration, the problem is most likely the pressure sensor. This can be fixed by cleaning out the sludge. But the time it costs in labour means it makes more sense to replace the whole pressure sensor. How Much Does it Cost to Fix a F75 Fault on a Vaillant Boiler? Ease of the job. Some boilers are much easier to access than others and this reduces labour time (and cost). Expect to pay: £240-300 to a top brand like Grundfos. Got other Vaillant boiler problems? We’ve covered F22, F27, F28 and F29 Vaillant Boiler Faults here. Ready to upgrade to a new Worcester Bosch boiler? 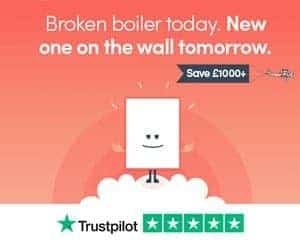 You can get boiler quotes in less than 2-minutes using this clickable form. Or, if you have a fault not listed, leave a comment and we’ll respond as soon as we can.